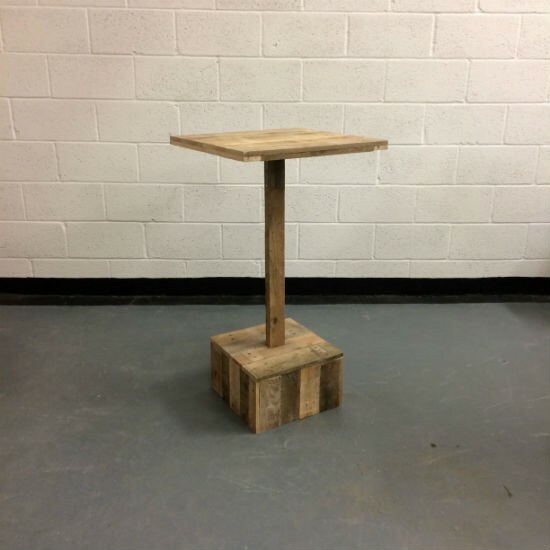 Our unique reclaimed timber poseur tables are perfect for any event and occasion. 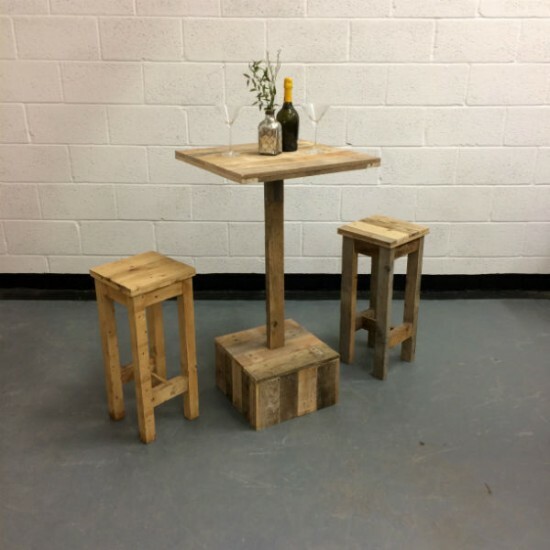 They are made from reclaimed timber, sourced from our local area. The timber is sanded smooth to touch but a beautiful textured look still remains. 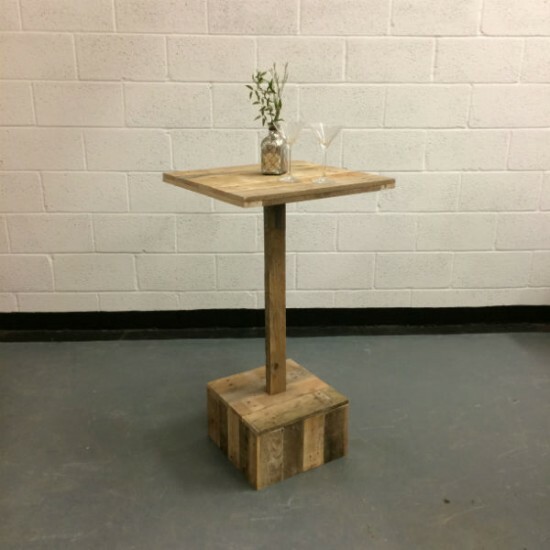 The Poseur Tables can be hired along with our tall bar stalls, combining to make a perfect indoor or outdoor table set for your event.